The success of your lingerie business depends on several factors, including a team of quality store associates. The right team members can boost your business and create an environment that customers love to visit. However, one “bad apple” on the team can negatively affect customers and team members. Small businesses spend a lot of money on hiring new staff, and 24 percent of wrong hires have caused businesses to lose customers. A lot weighs on your hiring decision, so it’s important to make the right hire the first time. Every person on your team, regardless of position, must be a team player. When everyone works together as a team, your lingerie business can steadily move forward. However, associates that try to solve problems alone or hoard responsibility will only cause the business disruption. A team-oriented mindset is also helpful when business picks up. If the store is short staffed due to illness or PTO, a true team player will help in someone else’s absence. A successful lingerie store associate must have the desire to empower others. Trying on new lingerie styles or even getting a bra fitting can be intimidating for many women. However, a helpful, positive associate can turn an uncomfortable situation into an empowering experience. Self-starting employees are sought out in every industry, and the lingerie industry is no exception. A self-starter takes initiative that benefits the team and the lingerie business. This trait is essential, especially when you’re not present to manage day-to-day operations. Negativity in the workplace is felt by customers and team members. One person’s negativity can quickly infect another, but one person’s positivity can motivate the entire team. Look for a positive attitude in potential lingerie store associates, and promptly address negativity in the store whenever it’s noticed. Dependability is a must-have trait in your lingerie business’s associates. Lingerie store owners must have trust that employees will show up on time, do a quality job and do the right thing on behalf of the business. As a lingerie store owner, you likely drive most of the store’s creative ideas. However, having team members that can also generate innovative ideas is imperative. The more brains you put together, the better ideas you’ll have. And, good ideas that are backed with smart strategies lead to business growth. You want your lingerie business’s employees to have smart problem-solving skills. Whether it’s a customer complaint or an order mix-up with a supplier, associates must be able to quickly analyze the situation and provide an effective solution. 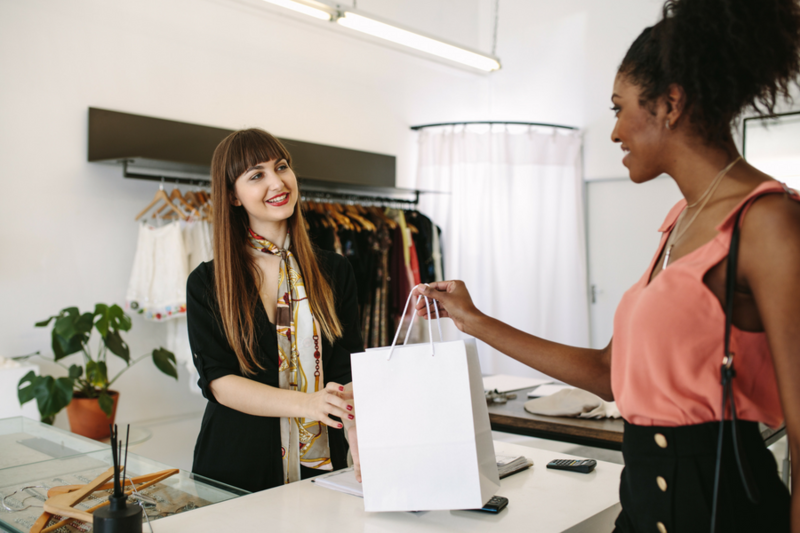 One of the most important traits of a retail associate is a customer-first mindset. Without customers, you don’t have a lingerie business. From a willingness to serve the customer, to the ability to act professionally in frustrating customer situations, employees must be able to put customers first. The ability to learn quickly is another sign that a candidate will be a successful lingerie associate. There’s a learning curve whenever someone starts a new job, but business processes don’t remain the same. Adapting quickly ensures your business is able to prosper throughout transitions. You can train a smart associate to do the job at hand. So, you must ask the right questions in the interview process to know if the person has the foundation to be a strong team member. When you seek out these key characteristics in employees, you’ll build a solid business.